Three bills that would protect overweight people from discrimination have been introduced in Israel’s Knesset. 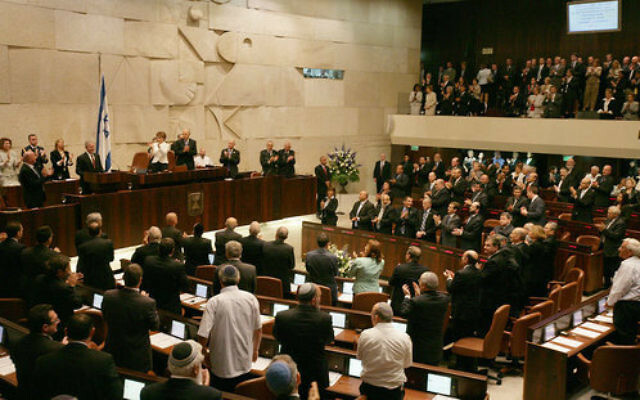 Lawmaker Tamar Zandberg of the left-wing Meretz party introduced each measure, Ynet reported. One bill, an amendment to the Prohibition of Discrimination in Goods or Services Law, would prohibit denying commercial services to someone on the basis of their weight. An amendment to the Defamation Law would empower overweight people to sue those who insult or exclude them because of their weight. Another amendment, to the Equality and Opportunity in Work Law, would add weight to the list of items that may not be used to discriminate against potential employees. Zandberg’s proposals, drafted with assistance from the Association for Civil Rights in Israel, came a week after the rights group asked the Israeli Medical Association’s ethics committee to issue standards governing how physicians discuss their patients’ weight. Numerous health risks and diseases, including diabetes and heart disease, have been linked to obesity. In April, an Israeli study published in the New England Journal of Medicine reported that overweight teens face increased risks of dying from cardiovascular diseases, including coronary heart disease, stroke and sudden death in adulthood.